Number of processed APDs during the lapse, according to the Interior Department. BLM Wyoming clarified the number has fluctuated up. The U.S. Bureau of Land Management (BLM) approved 267 applications for permits to drill (APDs) during the 35-day government shutdown earlier this year. About a quarter of them were approved in Wyoming, second only to New Mexico which shares the Permian Basin. 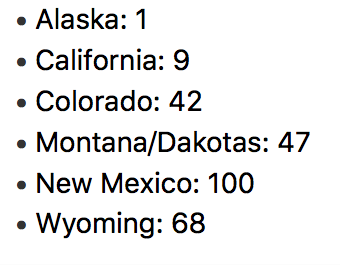 The Interior Department originally announced 68 APD approvals in Wyoming, though the number has gone up with other field offices in the state calling in late. In the 2013 government shutdown over Obamacare, the BLM missed out on processing about 200 APDs, but policy has changed to make the activity an exempted one. Molly Block, Interior Department press secretary, wrote exempted employees are paid from non-appropriated permanent funds. She added the goal was to keep things moving in the department. "Our overarching priority was to minimize the impacts of this lapse, to the greatest extent possible under the law, on our employees and the communities and public we serve," Block said. Kelly Fuller, Western Watersheds Project energy and mining campaign director, said she's not happy how much leeway oil and gas got during the shutdown. "They shut out the public, but they were open for business to the oil and gas industry," she said. A voicemail would greet a call to any given BLM field office announcing the lapse in appropriations, though several reported cars were in office's parking lots. Fuller said the BLM barred the public from even simple requests in the latest shutdown. "If the public can't even find out what the condition what the road conditions are on BLM land, why should the oil and gas companies be able to get their wells approved?" Fuller asked. She said permits to drill should not have gone through if there wasn't public comment. Brad Purdy, a spokesman for BLM Wyoming, said there is no requirement for a formal public comment period on an APD and that comments could be taken online. He added all necessary reviews were completed. Fuller said she was also concerned a 156-well project moved forward during the shutdown. She said Western Watersheds Project along with the Center for Biological Diversity plan to submit another request for a state director review of BLM's approval of the Sand Creek Project. That's expected to come out today. Interior's Block said 16 oil and gas leases were also approved during the shutdown. Block added employees also worked on road repair, fire recovery and campground maintenance during the shutdown. 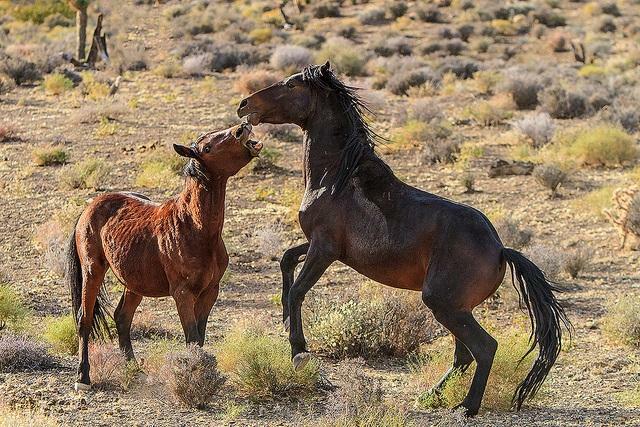 The Bureau of Land Management is offering people $1,000 if they’ll adopt a wild horse. In an hour-long hearing Thursday, frustrated Democrats on the House Natural Resources committee called out the Trump administration for "blatant favoritism" toward the oil and gas industry. California Congressman Alan Lowenthal complained oil and gas has gone unscathed while all walks of life are feeling the pain.